Experts say keeping phones away from the body can reduce potential risks of radiation. THOSE concerned by the new that mobiles may increase the risk of brain cancer have been urged not to throw away their mobiles just yet. Health experts say following some simple steps can reduce possible radiation risk. - Keep your mobile in a bag or anywhere other than your pocket or on your body. - Reduce potential radiation exposure by texting, emailing instead of calling. - Children with fragile brains should especially avoid using them for hours on end. - Use a wireless handset. Moving the handset 20cm from your body can reduce radiation by up to 98 per cent. 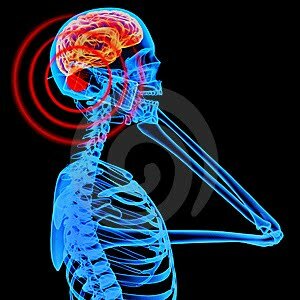 - Hold the phone away from you while dialling can also help as this emits the most radiation and avoid using it when reception is on one bar as it chews through the power. - Use a 3G or newer model smartphone. 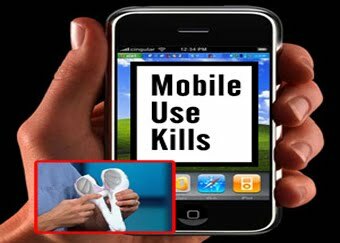 The WHO put mobile phone radiation on a par with about 240 other agents for which evidence of harm is uncertain, including talcum powder, petrol engine exhaust and coffee. Professor Bruce Armstrong, from the University of Sydney, who worked on the report with 30 other experts, told the ABC more research was needed before any real link can be made between mobile phone use and giloma, a malignant form of brain cancer. The cancer, which affects roughly seven in 100,000 Australians a year, is rarely curable and has a low prognosis rate. Of 10,000 Americans diagnosed each year with malignant gliomas, about half are alive one year after diagnosis, and 25 per cent after two years. He said researchers studied radiowave activity on those who used phones the heaviest and for the longest period, and health risks for average users was "really quite small". The advice may come as a relief to heavy mobile user Aussies who are among the highest number of people to own the devices in the world, according to online mobile phone store mobicity. We have roughly 22 million phones, out of a global total of 5 billion, which equates to an average of one per person, the same as Brazil which has a total of 194 million phones. The United Arab Emirates has the highest average number of phones per person with 1.95, way ahead of their Russian cousins who have an average of 1.3 phones per persons, and the UK, 1.2 per person. While heavily populated China only has 0.62 phones per person it has roughly 842 million all up. And it seems our nation's teens are leading the charge with 83 per cent owning one, and an estimated 31 per cent of these being children. Tasmanians have the largest numbers of phones at 41 per cent, followed by Western Australians 33 per cent and South Australians 32 per cent.